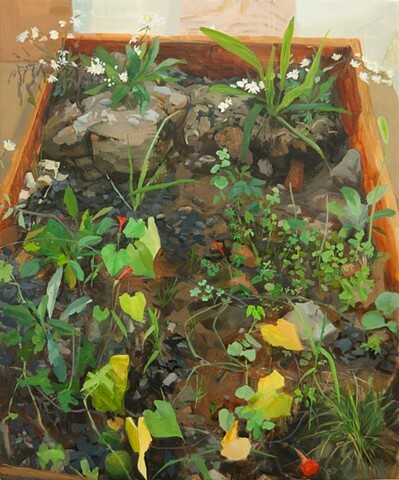 I focused on waste places – vacant lots, roadsides, parking lots, and the like. 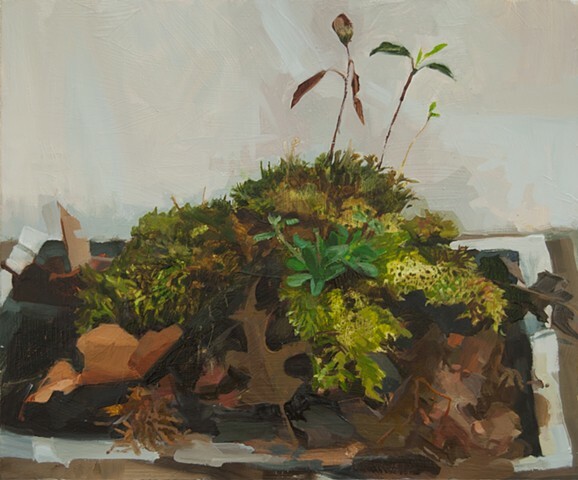 These sites had been altered by humans – built on, gardened on, covered with soil from elsewhere - and then had been mostly left to their own devices. 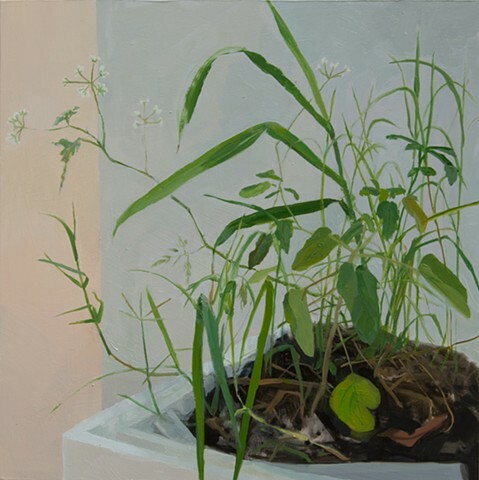 The resulting plant communities were a feral blend of introduced and opportunistic species, the kind of plants we think of as weeds. 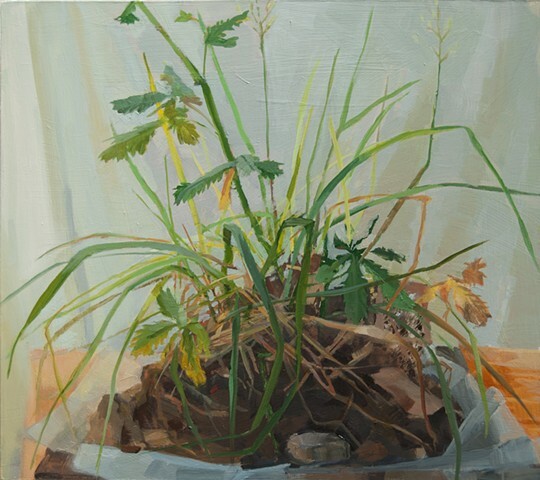 These plants are nature’s equivalent of first aid – species that will quickly colonize the bare ground of a disrupted site. 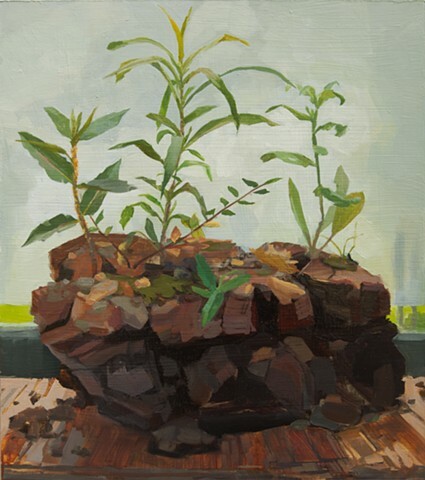 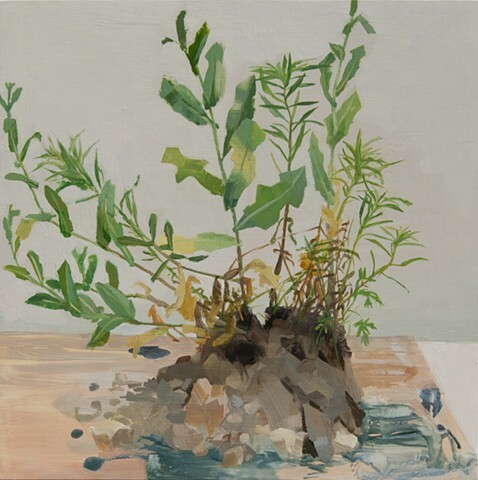 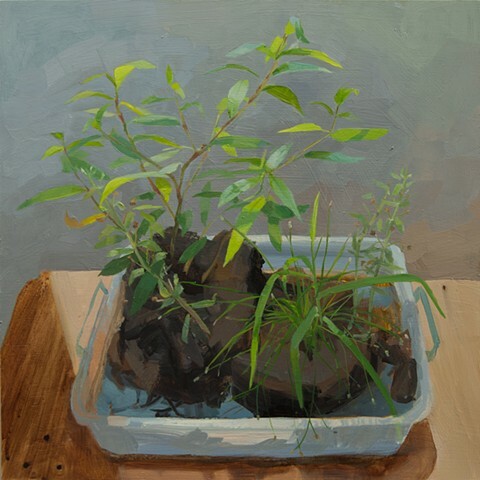 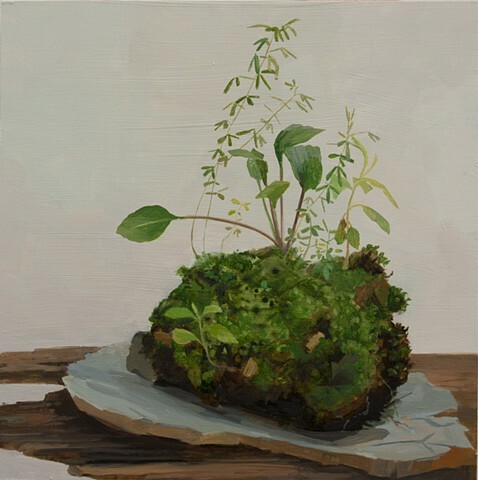 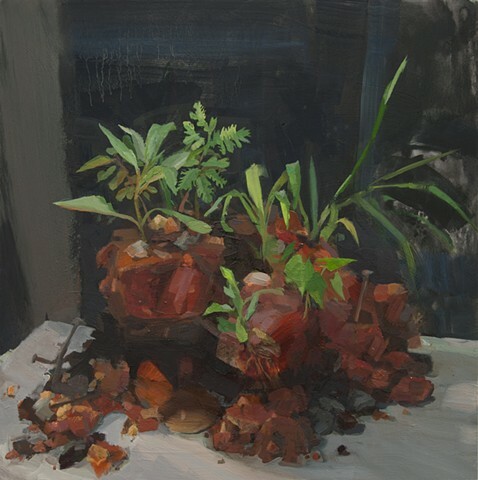 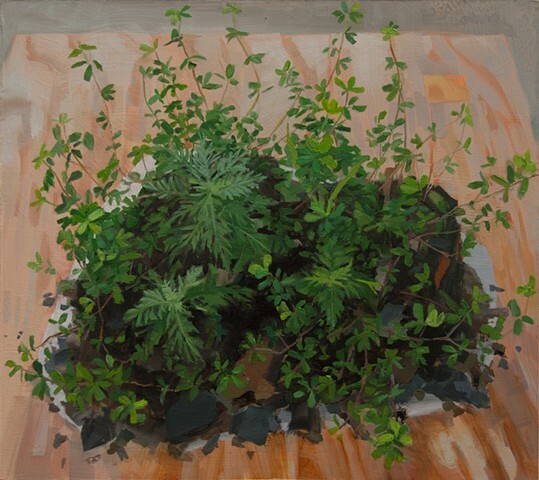 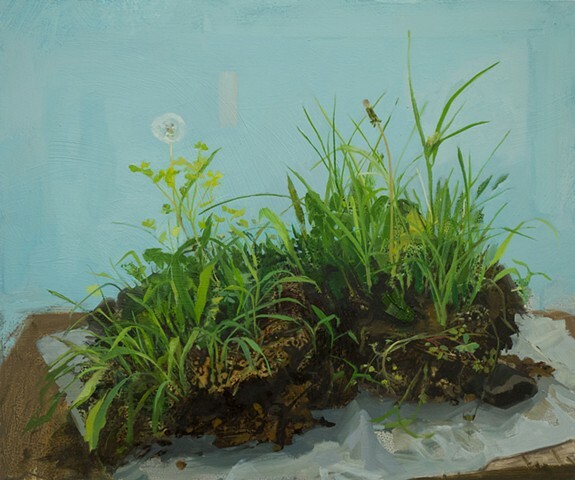 The paintings present the pieces of ground as self-contained little worlds, resting on discarded materials – styrofoam packaging, old rotting plywood, bits of a torn down house, and so on, referencing the abandoned status of the plants’ original locations. 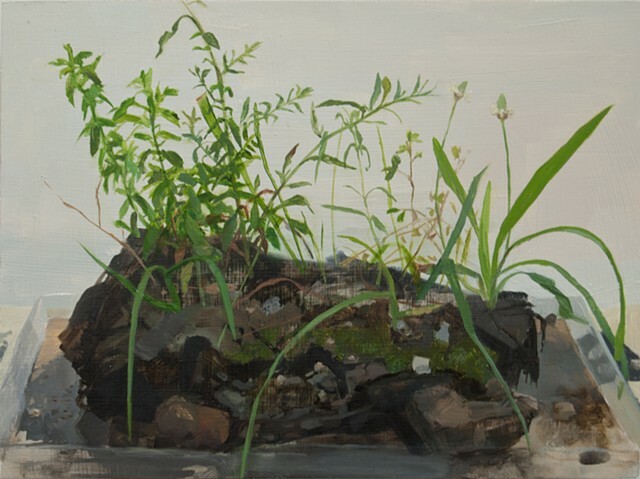 The paintings are quiet harbingers of a weed-filled planet to come as humans continue disrupting natural ecosystems.